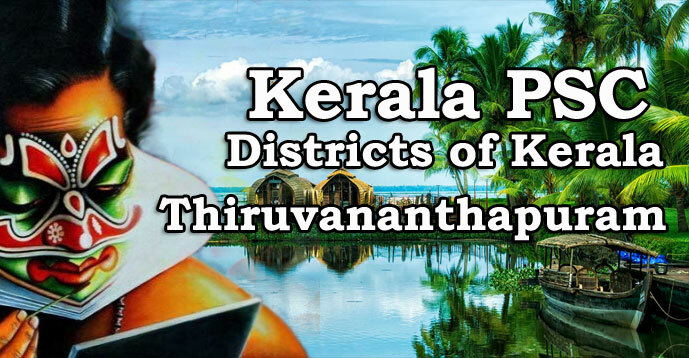 The southernmost place in Kerala Kaliyikkavila, the southernmost Panchayat Parassala, Southernmost constituency Parassala and the southern most river Neyyar, are in Trivandrum District. The first university in Kerala - the Kerala University (formerly known as Travancore University founded in 1937), the first Medical College (1951) and the first Engineering College in Kerala - College of Engineering (1939), all are in Trivandrum. The second stock exchange of Kerala is at Trivandrum. First women jail in Kerala is at Neyyattinkara. Now it is transferred to Thiruvananthapuram. Poojappura Central Prison is the biggest in Kerala. The first fully computerised Panchayat in Kerala is Vellanad in Trivandrum District. The first 'child friendly' Panchayat in Kerala is Venganoor in Trivandrum District. The second highest peak in Kerala - Agasthyakudam Peak (1869 m) is also in Trivandrum District. This is also the southernmost peak in Western Ghats. Peppara and Neyyar are the two wildlife sanctuaries in the district. The only Lion safari Park in Kerala is at Neyyar dam, in the island of Marakunnu in Trivandrum District. Trivandrum district has the largest area under Tapioca cultivation. The beaches in Trivandrum district are Kovalam and Papanasam near Varkala. Kollur - the birth place of Chattampy Swamikal, Chempazhanthy - the birth place of Narayana Guru, Venganoor - the birth place of Ayyankali and Kayikkara - the birth place of poet Kumaranasan, are in Trivandrum district. Trivandrum is the seat of Southern Air Command. The Headquarters of Kerala Road Transport Corporation, Kerala Financial Corporation, Kerala Handloom Corporation, Kerala Police Force, Kerala Public Service Commission, VSSC (Thumba rocket launching centre), Regional Cancer Centre and Sree Chitra Medical Centre are in Trivandrum. The Tropical Botanical Garden and Research Institute is at Palode in Trivandrum District. Now it is known as Jawaharlal Nehru Tropical Botanical Garden and Research Institute. Kowdiar Palace and Kuthiramalika (Trivandrum), Koyikkal palace (Nedumangad) and Kilimanoor Palance (Kilimanoor) are in Trivandrum District. Padmanabhaswamy temple (Trivandrum), Attukal Devi Temple (Known as the Sabarimala of women) and Janardhanan Temple (Varkala).